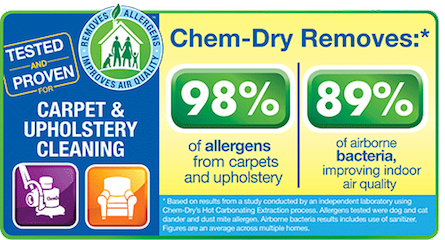 Mecklenburg Chem-Dry has been proudly serving Charlotte, Cornelius, Davidson, Huntersville, Pineville, Matthews & Mint Hill in North Carolina since 2004. We continue to build a loyal repeat customer base. 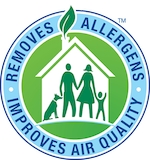 Our promise is to delight our customers with the cleanest and fastest drying carpets and upholstery in the industry. Our products will be expertly applied so as to be gentle on carpets and property, safe for people and pets, and our services will be delivered by trustworthy, friendly professionals. He was on time . Good with my kids ‘ i wish i had before and after pictures ! He did an amazing job . I will definitely use his services again !!! This is the second time that I haved used Mecklenbrg Chem-Dry and as with the first time I used them I was throughly satisfied with the sevice. I would not hesitate in using them again. Thank you CemDry for outstanding and affordable service. Your guy did a professional job at our office. Will definitely use again. Quentin with Meckleng Chem Dry did an excellent job cleaning our carpet. He was very professional and friendly. I give him 10 stars. Very professional and thorough. I originally had my carpet cleaned by another vendor, who did a terrible job. Quentin and his team came out and cleaned my carpet excellently. I am very pleased with the service! Easy to book, arrived right on time and did a fantastic job. Affordable too. Two dogs and get our carpet looks brand new! Thank you.